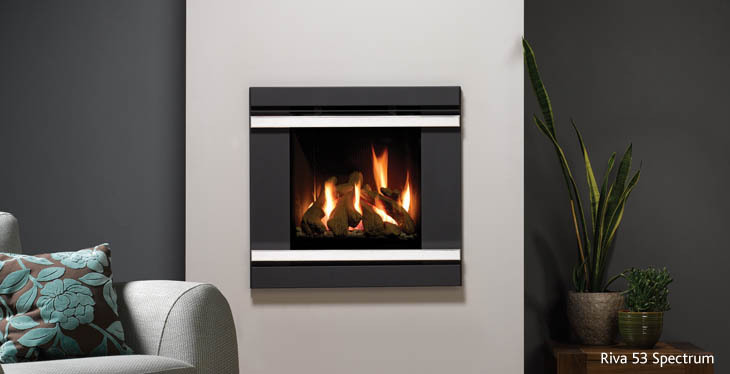 The Riva Spectrum combines a striking frame design with the superb heating efficiency of the glass-fronted Riva range. The fire is available in two sizes. The Riva 53 is portrait format with driftwood log effect fire, the Riva 67 is landscape format with a traditional log effect fire. Both models are available in balanced flue versions for homes with no chimney and remotes controls are options across the model choice. Spectrum frame: Black/polished stainless steel inserts.